Astronomy Shed UK Astronomy Forum • View topic - Mars June 30 2016 - Best yet. Mars June 30 2016 - Best yet. 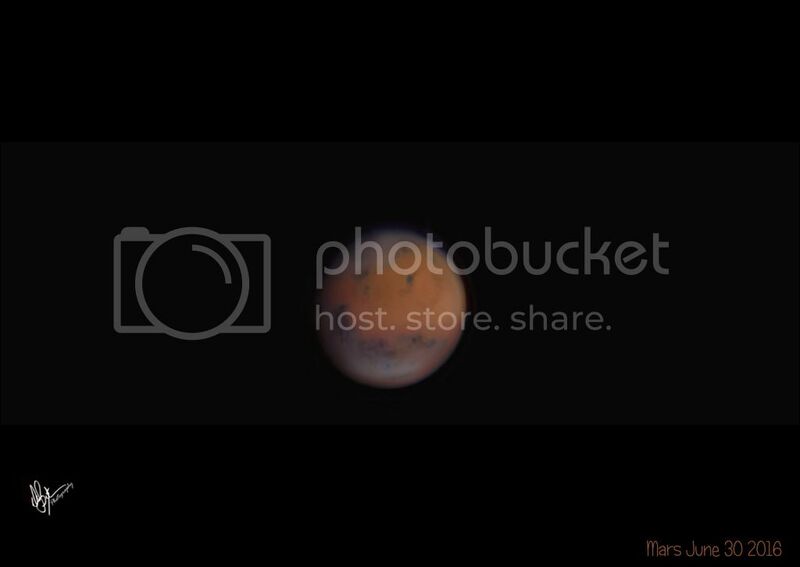 Pretty excited that I actually was able to get a fairly good image of mars last night. If you look closely you can see Phobos in the lower right section of Mars, just as the light blue color starts. Used ZWO ASI120mm-s mono camera. 180 seconds each for RGBL. Used a Tele Vue 4x Powermate with Astronomik CCD - CLS filter. Re: Mars June 30 2016 - Best yet.